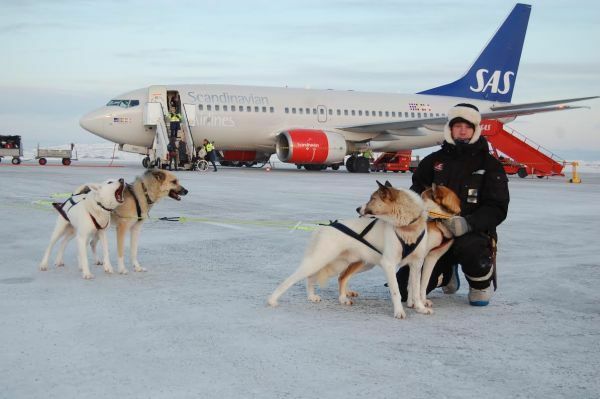 Forget the airport bus, grab a husky sledge to your hotel. Cruise company Hurtigruten have come up with the idea of transferring passengers by genuine Eskimo means of travel at Kirkenes Airport to the unique SnowHotel. On arrival at the airport customers are given all the suitable clothing to make the 45-minute journey comfortable. They needn’t worry about whether their luggage will fit on the sledge as it will follow by a more common mode of transport – a mini-bus. The transfers will be available to customers flying into Kirkenes for a ‘Classic Voyage South’, but who are staying overnight at world’s most unusual hotel for a night before joining the ship.